common being the abdomen, buttocks, hips, thighs, knees, chin, upper arms, back, and calves. shape. 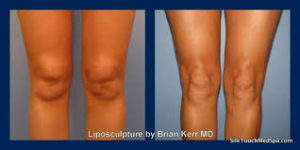 Liposuction does not remove cellulite, only fat. procedure will be done in a hospital and may require an overnight stay. Before the procedure begins, you will be given anaesthesia. Depending on the degree of fat being removed and the type of liposuction being performed, anaesthesia varies and may only be locally applied or it may require a general application in which case the surgery will be done while you are sleeping. Once the anaesthesia has taken effect, the liposuction procedure is performed using a suction device attached to a small, stainless steel instrument called a cannula. Through small incisions, the cannula is inserted into fatty areas between skin and muscle where it removes excess fat either using a suction pump or a large syringe. This results in a smoother, improved body contour. The length of the procedure will vary with the amount of fat that is needed to be removed. Under most circumstances, when liposuction is an outpatient procedure, recovery is usually quick. Most people can return to work within a few days and to normal activities within about two weeks. You should expect bruising, swelling and soreness for a least a few weeks. 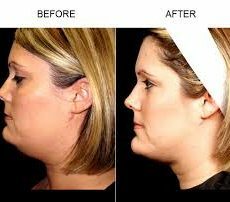 However, every person’s outcome will vary based on factors such as volume of fat cells removed and area of removal. Your doctor will discuss what results you can expect to achieve and how to best maintain your new body shape.